On the heels of the very successful Geneva Watch Auction: FIVE, in which Phillips under the auspices of Bacs & Russo once again set multiple world records, the Geneva-based auction house department now announces its Hong Kong Watch Auction: FOUR. The records set in the 32 million Swiss franc Geneva sale included the highest price ever paid for a Rolex (Reference 6062 Bao Dai: CHF 5,066,000) and the highest ever paid for a Rolex Daytona (a Paul Newman, only one of three known, went for CHF 3,722,000). The Phillips/Bacs & Russo Hong Kong Watch Auction: FOUR takes place on May 30, 2017. While it includes a large number of Rolex and Patek Philippe models as well as a disarmingly beautiful array of bejeweled timepieces by Cartier and Piaget, most important for me is the 43-piece subset of watches belonging to Chronopassion watch retailer Laurent Picciotto. I have written here about Picciotto before and I will likely do it time and time again before I’m done writing, and the reason is easy to explain: not only is the founder of Chronopassion in Paris one incredibly cool cat with a brilliant guitar-playing hobby perfectly coinciding with my own love of that same kind of music, Picciotto’s preferred style of watches also conforms to my own personal taste. For more on that see Chronopassion’s Laurent Picciotto And His Favorite iVee Guitar. And unlike most people who sell watches, Picciotto is one of the very few important retailers worldwide who is so personally involved in what he does that he actually collects watches. And I’m not talking about a collection that sets out to gather moss while it gathers potential dividends; I am talking about a living, breathing collection of timepieces that he loves and wears, watches that were bought of true passionate feelings, not with potential dollar signs in mind (or euro signs as the case may be). “I have to take five cold showers a day to resist buying watches!” Picciotto jokingly explained how hard it is as a retailer to combat the temptation to continuously buy watches for his own use. Like me, Picciotto appreciates the independent watchmakers, the weird and wonderful, the cool rock and roll attitudes. “I definitely buy against the stream,” he laughed as we chatted about the collection on the block. So that’s what you’ll find in the subgroup of 43 watches that Phillips features in this Hong Kong sale. That is often the very first thought that pops into my head when I spy a beautiful timepiece on the auction block, particularly if that watch once belonged to someone famous and/or rich, where there may not be an obvious need to sell. The majority of the time, that question goes unanswered. This time, however, I was able to find it out – which is excellent because I was particularly curious as to why this known collector of cool curiosities would want to sell the treasure he has amassed over the last two decades. And just to get it out of the way (a blogger who did not speak to Picciotto has already wrongly published this): Picciotto’s Chronopassion is not going out of business and Picciotto is not retiring. In fact, Chronopassion, which has just undergone major renovations and reopened in May 2017, is thriving more vibrantly than ever before. The reality is that Picciotto is generally a pack rat. “I keep everything,” he confirmed. Despite his wish, the fact remained that all the watches he owns came into his possession through passion. So how do you emotionally separate yourself from items that number in the hundreds, each with its own story to tell of a life well and passionately lived? In other words, he is “splitting” his emotions, putting them into boxes marked “rational” and “real.” In paring down his collection – at the end he will be left with round about a dozen timepieces – he’s looking to put a stop to the way he has over-accumulated these ticking treasures over the years. Picciotto is looking to refresh his collection, restart it, but buying in a more selective manner perhaps. This is a tough process – one that anyone who has ever tried to declutter his or her own closet may be familiar with – but ultimately one that will bring him peace and others the joy of owning some of his spectacular acquisitions. They represent the tangible appreciation of his own relationships to their makers: men who dared, men who took chances, and men who ultimately who bound themselves to Picciotto through passion, friendship, and a shared sense of community. In the earliest years of the 2000s, hardly anyone – and certainly not a retailer – would take a chance on an independent watchmaker; however, it was exactly this that Picciotto excelled at. Not only learning how to appreciate the unusual watches that these watchmakers produced, but also how to explain them to his discerning clientele so that they too could understand the magic behind them. And Picciotto put his money where his mouth was: he invested in their companies, he carried their watches, and he bought them for his own wrist. Emotionally, these watches represent some of his best and most important memories. 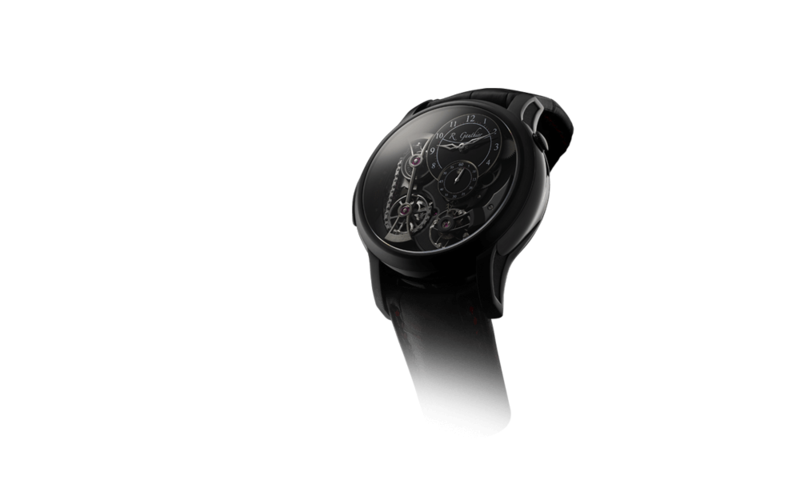 The Hublot models found here, for example, relate to his personal relationship with Jean-Claude Biver, with whom he opened the Paris Hublot boutique that is right next door to Chronopassion. “These timepieces are about my own personal story,” he said. But it’s time for that cycle to end and a new one to start. “And I like events, so an auction made sense,” he explained. As much as I love these watches and all they represent, this auction is going to be more than just an auction: it is also an important and highly interesting experiment. Will the public respond to a serious collection that doesn’t contain a Rolex or a Patek Philippe? Will potential buyers be able to appreciate this lifelong commitment to out-of-the-box watchmaking as well as friendship? And will all this be honored in a pecuniary way? Those are questions to which no one has the answers until May 30, 2017 arrives. And I for one will be glued to my screen to watch the action as it takes place. So let’s take a look at what’s on the block and how to interpret it. Picciotto’s 43 lots begin at lot number 991 and end with lots number 1033. You can see the full Phillips catalogue online as an e-catalogue or individually at www.phillips.com/auctions/auction/HK080117. Lots like the Guiliano Mazzuoli Contagiri (lot 995), Corum Bubble Vintage (lot 999) and T-Bridge (lot 1000), Ressence Type One (lot 1020), De Bethune DB25 with unique star map and secret signature (lot 1022), and Chronoswiss board timer with four stopwatches (996) are obvious symbols of not only Picciotto’s daring spirit when it comes to unusual designs, but also friendships – with personalities like Mazzuoli (see Ten Years Of Giuliano Mazzuoli: An Independent Made In Italy) and Chronoswiss founder Gerd-Rüdiger Lang, one of the pioneers of the mechanical renaissance and a close friend and confidante of Parisian designer Alain Silberstein. And Silberstein is also well represented here with three lots (lots 1014, 1015, and 1016): a 2000s stainless steel Krono Bauhaus, a 2005 Window model made with independent watchmaker Svend Andersen, and a 1993 Krono Saphir – the latter a watch housed in a sapphire crystal case that was far ahead of its time and in my opinion one of the most interesting and important in this collection. Picciotto acquired it at the Artcurial auction where I made my own first auction purchase. For much more information on that see My First Auction Purchase: Alain Silberstein Pendant Watch. Lots 991 (Jaeger-LeCoultre Atmos 561) and 992 (Ikepod) display Picciotto’s love of Marc Newson design. 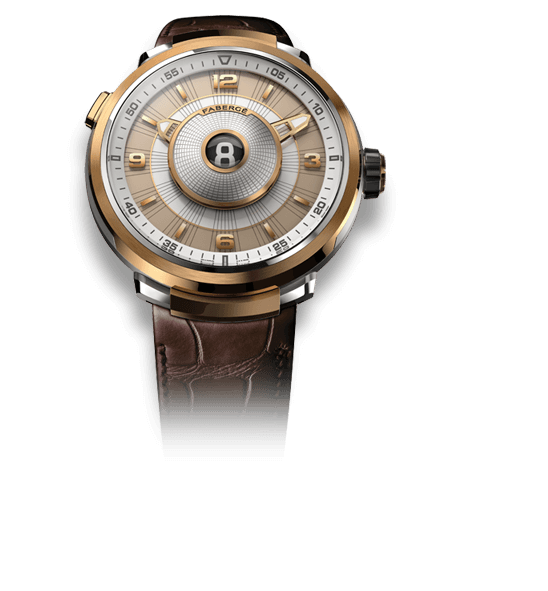 And even if you’re not super enamored of independent watchmaking, you are sure to find examples of excellent as well as unique watchmaking by Audemars Piguet, Hublot, Girard-Perregaux, and Panerai here, too, as Picciotto shared long-lasting and special relationships with the CEOs of each of these brands.  Picciotto has always had a very soft spot for Urwerk’s Felix Baumgartner, HYT’s Vincent Perriard, and Maximilian Büsser of MB&F – which is why we find an abundance of watches from these brands in the mix. 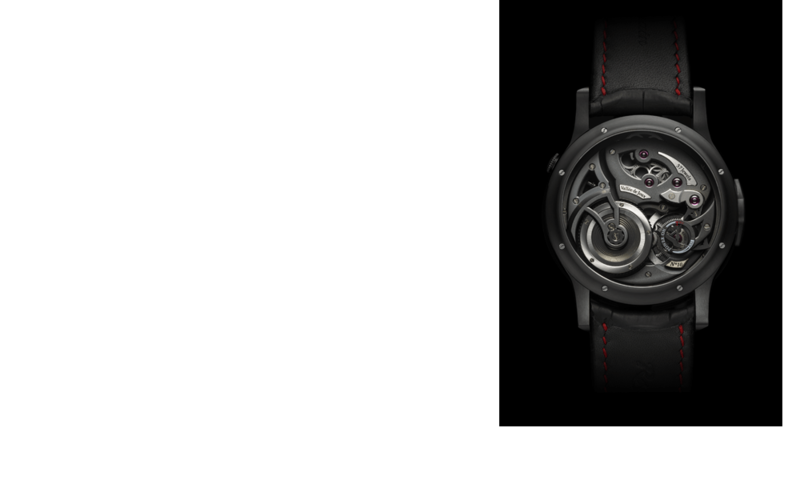 Lot 1021 is the very first HYT H1 to come out of production; the very first watch ever made that tells time using fluid, this is number one of the first run. MB&F is represented here with Horological Machine 3 (lot 1024) and Legacy Machine 1 (lot 1025) – a Grand Prix d’Horlogerie de Genève winner – while Urwerk is represented with the UR-105M Iron Knight (lot 1026), UR-202 White Shark (lot 1028), and UR-103 (lot 1027). See what makes the UR-103 so special in Urwerk Celebrates 20th Anniversary In 2017: But For Me The Brand Really Blasted Off In 2005 With Harry Winston Opus V And UR-103.03. With almost every lot, Picciotto has added some extra “goodies” to the package. These are not always pictured in the catalogue, but they are described in the catalogue text, and include items such as branded speakers, travel bags, jackets, and other memorabilia. 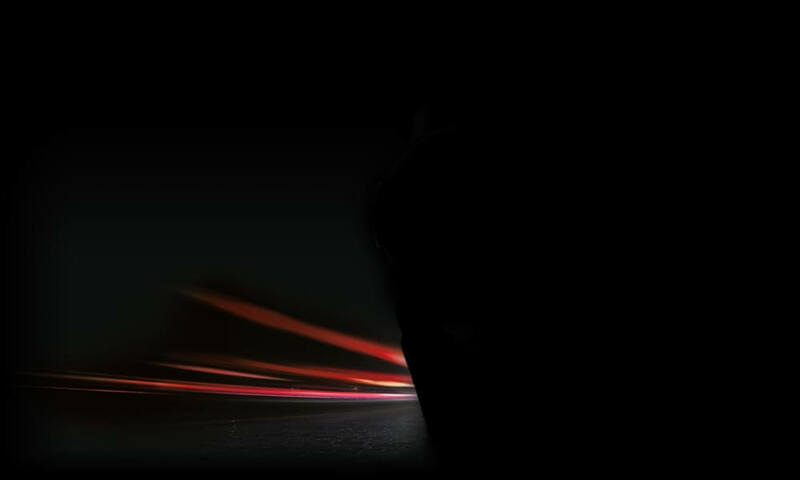 Which brings me to Richard Mille . 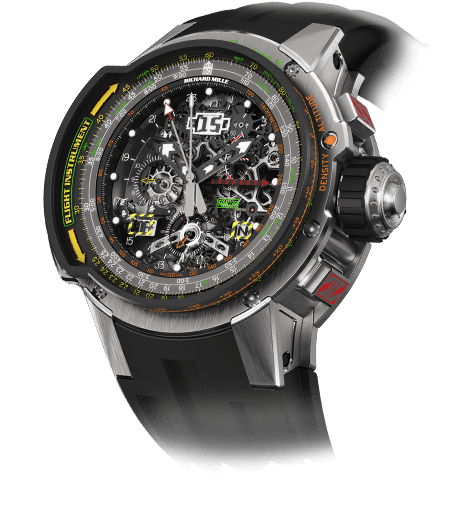 . .
Picciotto offers five Richard Mille watches here, including the RM008 split-seconds chronograph tourbillon (lot 1033), which even comes with a super cool goody: a customized guitar. The estimate is not surprisingly not low at $250,000-$375,000. Lot 1031 comprises the RM001 from 2002, the first Richard Mille tourbillon to hit the market. It is estimated between $150,000 and $250,000. Other Richard Mille watches offered here include the RM005 (lot 1029), RM010 (lot 1030), and the inimitable RM011 (lot 1032). Picciotto’s special relationship with Mille began before the man ever founded his eponymous brand. Mille was looking for a founding partner for his vision of a product that takes everything to the extreme – and he found everything he wanted in Picciotto, who helped him set up shop and even design watches. Picciotto did more than retail the watches; he also managed the very first Richard Mille boutique. I’m sure it was not easy to part with these historic timepieces, but I’m also sure these particular timepieces will do well at the auction. The few Richard Mille timepieces that have come to auction over the last couple years have enjoyed good track records. 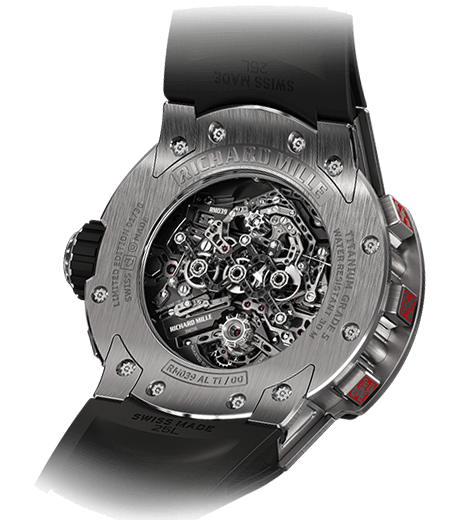 I listed a selection of performers from 2015 in Richard Mille’s Top 10 Auction Pieces Of 2015. Phillips’s Hong Kong Watch Auction: FOUR takes place on May 30, 2017 at the Mandarin Oriental in Hong Kong. The 43 watches of Picciotto’s personal collection are part of an offering comprising more than 350 timepieces that also includes landmark pieces by Patek Philippe, Rolex, Cartier, and F.P. Journe. For more information, please visit www.phillips.com. Phillips’ Inaugural One Auction: So How Did Watches By Patek Philippe, Blancpain, Rolex, And Longines Do? 4 Record-Setting Stainless Steel Patek Philippe Models Auctioned At Phillips. Is A Fifth Coming?